On Monday night, Lil’C and I watched and waved as Scott and Z drove away in our Blue Forester for the last time. It was time to turn the old girl in for a newer model and though I was excited about the new Outback, I still got teary watching my sweet little car drive away. There were so many memories in that car over the 8 years that we were together. We spent 160,000 miles together and if she didn’t need new brakes and AC, we’d probably be spending more time together. The Blue Forester was my first NEW car. I have had MANY cars in my day but she was the first new car I ever had the privilege of driving. When Scott and I drove her out of the lot in 2005, he told me to turn around and imagine my future kids sitting in the back seat. I did and often think of that moment when I look in the rear view mirror and see Z and Lil’C smiling from the back seat. 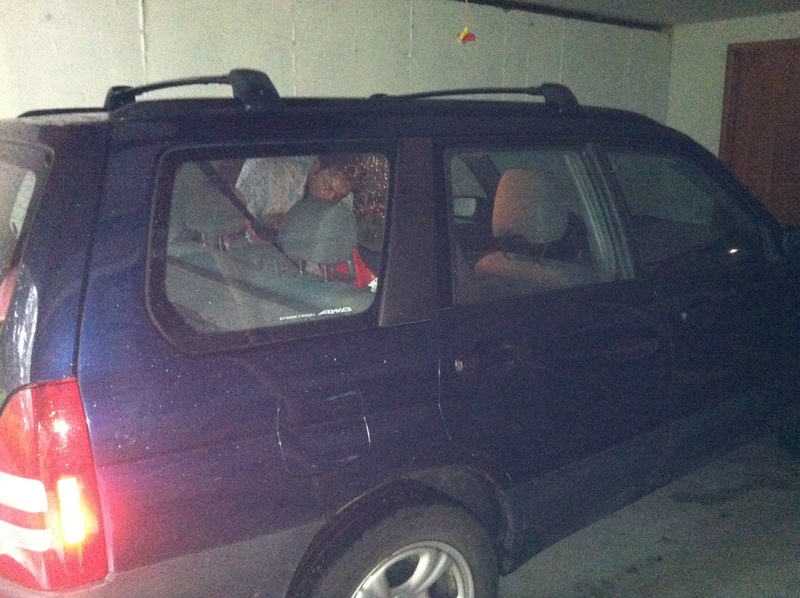 The Blue Forester was our first purchase as a married couple. She has been to many Red Sox games (even the playoffs for the 2007 World Series), has spent many summers at the lake and has taken many trips to the beach. She was the car that both Z and Lil’C came home from the hospital in and has been with us for every major moment in their little lives thus far. She has been a sturdy car and as my friends have traded in their cars over the years, Blue Forester stayed loyal and true. She has been puked in multiple times, has seen more crumbs than I care to think about and has been often embarrassed by her appearance when Z gets out of the car in car line for school 🙂 She has been a good car and I am so grateful for the time we have had with her. So now Blue Forester has been retired and Red Outback is sitting in the garage. Red Outback is shiny, sporty and has that “New Car Smell”. Lil’C does not like her at all, she wants her old car back. She reminds me a lot of me, I once cried when my parents got a new couch! Never mind the mild depression I had when we moved houses as a child 🙂 I know in time she (and I) will learn to love Red Outback as much as we loved Blue Forester. For now we will just smile when we think of Old Blue and how good she was to us!